Associate Professor Christopher Maher is a tertiary-referral Urogynaecologist at the Wesley & Mater Private Hospitals and Royal Brisbane Women’s Hospital and active researcher and teacher at the University of Queensland. His long-term commitment to research and evidence based medicine has been rewarded with over 100 peer-review publications and many presentations at National and International conferences. 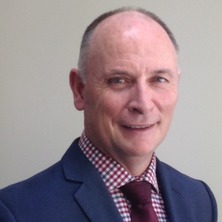 He is the past president of the Queensland CFA (Continence Foundation of Australia), former Secretary of AGES, Chairman of IUGA Scientific Committee, Chair of Urogynaecology committee RANZCOG and is currently lead author of the Cochrane Review and International Collaboration on Incontinence on the surgical management of prolapse. Associate Professor Christopher Maher is the current Chairman of the Urogynaecological Society of Australia. This body of research has been important in evlauting the efficacy of new interventions for female pelvic organ prolapse and identifying complications associated with these intervention. The reseach has been important and contributed to public debate surrounding the suitability of transvaginal mesh for pelvic organ prolapse that is currently teh suject of Class actions worldwide and Govermant evaluations in New Zealand, Scotland and Australia. Surgical Management of Pelvic Organ Prolapse 1st ed. Edited by Karram, Mickey and Maher, Christopher F. Philadelphia: Elsevier Saunders, 2013. Maher, C., Baessler, K., Cheong, C., Consten, E., Cooper, K., Deffieux, X., Dietz, V., Gutman, R., Ierserel, J., Sung, V. and DeTayrac, R. (2017). Surgical management of pelvic organ prolapse. In Paul Abrams, Linda Cardozo, Adrian Wagg and Alan Wein (Ed. ), Incontinence: 6th International Consultation on Incontinence 6th ed. (pp. 1855-1992) London, United Kingdom: ICUD/ICS. Maher, Christopher F. and Haya, Nir (2016). Prevention, recognition, and treatment of complications in laparoscopic pelvic floor surgery. In Linda Cardozo and David Staskin (Ed. ), Textbook of Female Urology and Urogynaecology 4th ed. (pp. 1122-1131) Baton Rouge, Florida: CRC Press. Maher, Christopher, Baessler, Kaven, Barber, Matthew, Cheon, Cecilia, Deitz, Vivianne, DeTayrac, Renaud, Gutman, Robert, Sentilhes, Loic and Karram, Mickey (2013). Pelvic organ prolapse surgery. In Paul Abrams, Linda Cardozo, Saad Khoury and Alan Wein (Ed. ), Incontinence : 5th edition 2013 5th ed. (pp. 1379-1442) Bristol, United Kingdom: International Consultation on Urological Diseases. Karram, Mickey and Maher, Christopher F. (2013). Surgery for Pelvic Organ Prolapse: Avoiding and managing complications. In Karram, Mickey and Maher, Christopher F. (Ed. ), Surgical management of pelvic organ prolapse (pp. 179-186) Philadelphia: Elsevier Saunders. Maher, Christopher F. and Karram, Mickey (2013). Surgical management of Anterior vaginal wall prolapse. In Karram, Mickey and Maher, Christopher F. (Ed. ), Surgical management of pelvic organ prolapse 1st ed. (pp. 117-138) Phildelphia: Elsevier Saunders. Maher, Christopher F. and Karram, Mickey (2013). Surgical management of Apical Vaginal Wall Prolapse. In Karram, Mickey and Maher, Christopher F. (Ed. ), Surgical management of pelvic organ prolapse (pp. 89-116) Phildelphia: Elsevier Saunders. Maher, Christopher F. and Karram, Mickey (2013). Surgical procedures to suspend a prolapsed Uterus. In Karram, Mickey and Maher, Christopher F. (Ed. ), Surgical management of pelvic organ prolapse (pp. 59-79) Phildelphia, Pa.: Elsevier Saunders. Brubaker, L., Glazener, C., Norton, P. and Maher, C. F. (2009). Surgery for pelvic organ prolapse. In Paul Abrams, Linda Cardozo, Saad Khoury and Alan J. Wein (Ed. ), Incontinence 4th ed. (pp. 1273-1320) Paris France: Health Publication Ltd.
Maher, Christopher F. and Maher, P. J. (2007). Laparoscopy in Urogynaecology. In Peter Dwyer (Ed. ), Atlas of Urogynaecology Endoscopy Ist ed. (pp. 119-126) London, United Kingdom: Informa Healthcare. Maher, Christopher F. (2007). Procidentia and uterine preservation. In Mark D. Walters and Mickey M. Karram (Ed. ), Urogynecology and reconstructive pelvic surgery (pp. 518-520) Philadelphia: Mosby Elsevier. Maher, C. F. (2006). Prevention, Recognition and Treatment of Complications in Laparoscopic Pelvic Floor Surgery. In Linda Cardozo and David Staskin (Ed. ), Textbook of Female Urology and Urogynaecology 2nd ed. (pp. 1211-1220) Milton Park, Abingdon, Oxfordshire, U.K.: Informa HealthCare. Maher, C. F. and Gilmour, D. C. (2000). Alternative therapy for urinary tract infections. In Stanton, S. L. and Wyer, P. L. (Ed. ), Urinary tract infections in the female (pp. 82-87) London, United Kingdom: Martin Dunitz Publishers. Total tape ban: Not the answer! Can the learning curve of laparoscopic sacrocolpopexy be reduced by a structured training program? Maher, C., Baessler, K., Glazener, C. M., Adams, E. J. and Hagen, S. (2009) Surgical Management of Pelvic Organ Prolapse in Women Editorial Comment. Journal of Urology, 182 1: 231-233. Diwadkar, G. B., Barber, M. D., Feiner, B., Maher, C. and Jelovsek, J. E. (2009) Complication and Reoperation Rates After Apical Vaginal Prolapse Surgical Repair: A Systematic Review (vol 113, pg 367, 2009). Obstetrics and Gynecology, 113 6: 1377-1377. Hagen, S., Stark, D., Maher, C. and Adams, E. (2004) Conservative management of pelvic organ prolapse in women. Cochrane Database of Systematic Reviews, 2: . Maher, Christopher F. (2002) Female urinary stress incontinence – what causes it and how to treat it. Medicine Today : The Peer Reviewed Journal of Clinical Practice, 3 2: 16-21. Moran, PA, Dwyer, PL, Carey, MP, Maher, CF and Radford, NJ (1999) Oral methotrexate in the management of refractory interstitial cystitis. Australian & New Zealand Journal of Obstetrics & Gynaecology, 39 4: 468-471. Colposuspension or sling for low urethral pressure stress incontinence? Maher, C (1994) Unusual Ovarian Disease. Medical Journal of Australia, 160 5: 310-310. Schmid, C., Maher, C., Feiner, B., Baessler, K. and Glazener, C. (2012). 2012 Cochrane Review: Surgical Management of Pelvic Organ Prolapse. In: International Urogynecology Journal. , , (S49-S50). .
Feiner, B., Fleming, T. and Maher, C. (2010). Laparoscopic Transvesical Surgery for Intravesical Pathologies. In: International Urogynecology Journal. , , (S193-S194). .
Feiner, B., O'Rourke, P. and Maher, C. (2009). Comparison of Outcomes Following Surgery Using the Anterior-Prolift (Tm) and Perigee (Tm) Systems in Women with Pelvic Organ Prolapse. In: International Urogynecology Journal. , , (S97-S99). .
Maher, C., Baessler, K., Glazener, C. M. and Feiner, B. (2009). Surgical Management of Pelvic Organ Prolapse in Women: a Meta-Analysis of Randomised Controlled Trials. In: International Urogynecology Journal. , , (S151-S151). .
Feiner, B., Jelovsek, J., Baessler, K. and Maher, C. (2008). Efficacy and safety of transvaginal mesh kits in the treatment of upper vaginal prolapse: A systematic review. In: , , (S99-S100). .
Feiner, B. and Maher, C. (2008). Vaginal mesh contraction: Definition, clinical presentation and management. In: , , (S144-S145). .
Sacrospinous hysteropexy and anterior mesh - Isn't that a perfet match? Feiner, B., Gietelink, L. and Maher, C. (2008). Sacrospinous hysteropexy and anterior mesh - Isn't that a perfet match?. In: 33rd Annual IUGA Meeting, Taipei, Taiwan, (S152-S153). 13--17 September 2008. Baessler, K., O'Neill, S. and Maher, C. (2006). Prevalence, incidence, progression and regression of pelvic organ prolapse in a community cohort: Results of a 5-year longitudinal study. In: 36th Annual Meeting of the International Continence Society, Christchurch New Zealand, (520-522). Nov 27-Dec 01 2006. Baessler, K. and Maher, C. (2006). Systematic review and meta-analysis of randomised controlled trials on surgery for pelvic organ prolapse. In: 36th Annual Meeting of the International-Continence-Society, Christchurch New Zealand, (550-551). Nov 27-Dec 1 2006. Brubaker, L, Bump, R, Fynes, M, Jacquetin, B, Karram, M, Kreder, K, Maher, C and Norton, P (2005). Surgery for pelvic organ prolapse. In: Abrams, P, Cardozo, L, Khoury, S and Wien, A, 3rd International Consultation on Incontinence, Monaco, (1371-1401). Jun 26-29, 2004. Baessler, K, O'Neill, S, Maher, C and Battistutta, D (2004). A validated female pelvic floor questionnaire for clinicians and researchers. In: Neurourology and Urodynamics. Joint Meeting of the International-Continence-Society/International-UroGynecological-Association, Paris France, (398-399). Aug 25-27, 2004. Maher, C, Qatawneh, A, Baessler, K, Cropper, M and Schluter, P (2004). Laparoscopic colposuspension or tension-free vaginal tape for recurrent stress urinary incontinence and/or intrinsic sphincter deficiency - A randomised controlled trial. In: Neurourology and Urodynamics. Joint Meeting of the International-Continence-Society/International-UroGynecological-Association, Paris France, (433-434). Aug 25-27, 2004. Maher, Christopher (2013). Surgical management of pelvic organ prolapse focusing on role of transvaginal mesh PhD Thesis, School of Medicine, The University of Queensland.